Mojave National Preserve is a 1.6 million-acre unit of the National Park Service, established by Congress on October 31, 1994, by the California Desert Protection Act. The Preserve is a vast expanse of desert lands that represents a combination of Great Basin, Sonoran, and Mojave desert ecosystems. This combination allows a visitor to experience a wide variety of desert plant life in combinations that exist nowhere else in the United States in such proximity. Located in southern California, the desert area is a land of mountain ranges, sand dunes, great mesas and extinct volcanoes. Mojave contains several diverse mountain ranges, the Kelso dune system, dry lakebeds and evidence of volcanic activity (domes, lava flows, cinder cones). Plant and animal life complement the geological features. 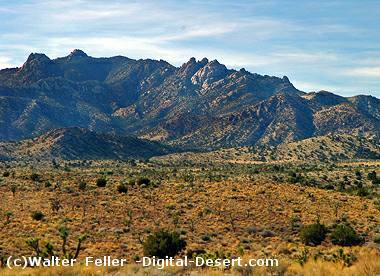 Mojave contains the largest Joshua tree forest in the world. Providence Mountain State Recreation Area (Mitchell Caverns), the University of California’s Granite Mountains Natural Reserve, and California State University’s Soda Springs Desert Studies Center at Soda Springs are also within the park boundaries. Mojave is bounded to the north and south by major interstate highways, I-15 and I-40. The Nevada–California stateline makes up most of the eastern boundary. 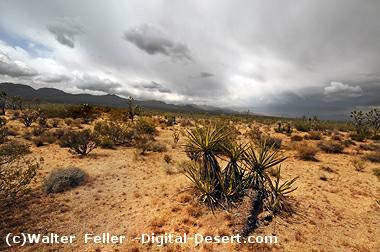 Located about half way between Las Vegas and Joshua Tree National Park, it is an area that many people have seen through their windshields, but few have taken time to explore. Of the Preserve’s 1.6 million acres, about 700,000 acres are designated wilderness. 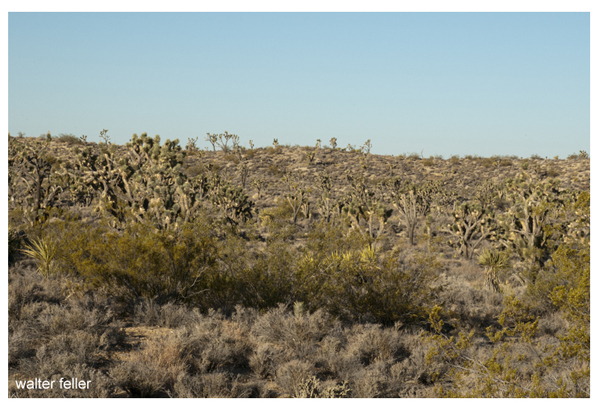 In addition, about half is designated as critical habitat for the federally listed threatened desert tortoise. Evidence of the early human uses includes archeological sites, possibly dating back to 12,000 years. Historic features, such as mail and trade/travel routes, ranching, farming, and mining, are abundant and often well preserved. The old Union Pacific train depot at Kelso serves as a wonderful reminder the railroading hey-days of the 1920s. The collection of buildings at Soda Springs, called Zzyzx, built by Curtis H. Springer also has a remarkably interesting tale to tell of this most unusual man. These two features and many more, such as Fort Piute, Government Holes, and Ivanpah town sites add to the very rich history of the Preserve. Mojave National Preserve protects an extensive variety of habitats, species, and landforms unique to the Mojave Desert and is the best place to experience this ecosystem. Mojave National Preserve contains outstanding scenic resources, rich in visual diversity containing a varied landscape of sand dunes, mountain ranges, dry lakebeds, lava flows, cinder cones, Joshua tree forests, and far-reaching vistas. The Joshua tree forest of Cima Dome and Shadow Valley is the largest and densest population of Joshua trees in the world. The Preserve is internationally known as a place to conduct desert research, and its lands are known for their geological features such as Cima Dome, the Cinder Cones, and the Kelso Dunes. Mojave is a naturally quiet desert environment with very dark night skies that offers visitors and researchers opportunities for natural quiet, solitude and star gazing with few human caused noise or light glare sources. The Mojave Desert has a long cultural history as a travel corridor across a harsh and foreboding desert, linking different areas in the Southwest. During the late 19th and early 20th centuries, railroads were constructed in this historic transportation corridor; more recently, modern interstate highways traverse the area. Mojave National Preserve protects many significant rock art sites that provide evidence of early Native American use of the Mojave Desert. Mojave National Preserve protects numerous historic sites from early mining, ranching, homesteading and railroading endeavors that serve as reminders of the bold and tough people that opened the harsh and forbidding western frontier. Historic Kelso Depot is associated with the early 20th century heyday of the great steam locomotives and the establishment of the final major rail crossings of the Mojave Desert. The Kelso Depot, built in 1924, is a rare surviving example of a combined depot, railroad restaurant, and employees’ rooming house. 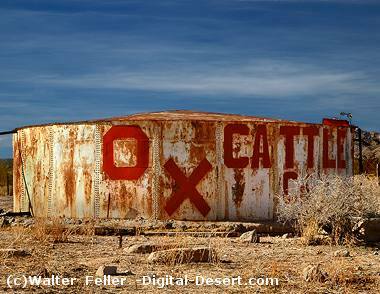 Photos of points of interest in the Mojave National Preserve. How sand dunes, dry lakes and other natural features have been created.